Answers to common questions our clients ask. Start by selecting one of the links below. Do you have a question that's not in our list? Call us at (913) 492-1500 or contact us online. We would love to talk with you about your next print project! Are there price breaks for ordering larger quantities of documents? How do I get digital files to 2 Friends Printing? How do I make a PDF file? How long until I receive a proof of my job? Should I compress my files using programs like WinZip and StuffIt? What format does 2 Friends Printing want my file to be in? What is a PDL (Page Description Language)? What is different when saving Color Files to PostScript? What other file formats can I send you? What types of Shipping Services do you offer? What types of paper are available for me to print on? Will the colors on my computer monitor match what is printed? We do offer price breaks on higher volume jobs. Please call us at (913) 492-1500 to speak to our sales team. Picture resolution should be set to 300 dpi at the final use size. Pictures and graphics pulled from the internet are often low resolution, typically 72 dpi. You should avoid using these low resolution graphics, as they will appear pixilated and blocky when printed. Also note that you should save all photos in CMYK mode, not RGB mode when possible. Images saved in RGB mode may not print properly. If you are unable to save your image in CYMK mode, please contact us for assistance. The easiest way to submit files is to use our SEND A FILE form. You can also provide your digital files to us on a flash drive, via email, or by ftp. If the file is larger than 5MB, then you should upload the files via our online form. Please call us at (913) 492-1500 if you need assistance. Call our sales department at (913) 492-1500, or REQUEST AN ESTIMATE ONLINE. There are many variables involved in creating PDF files. If you are unfamiliar with creating a print ready PDF please call us for assistance. We would be happy to assist you. Production times vary widely depending on individual job specifications. Some jobs can be produced in minutes while other jobs may take days. 95% of our jobs are completed and shipped within 1-3 business days or less after you approve your proof. Tight deadlines? We would love to discuss your project and deadlines to see how we can help you. Digital proofs will typically be sent to you for approval within 1 business day of receiving your electronic files. Should I compress my files using programs like WinZip and StuffIt?If you use our online file upload form, your files will be compressed automatically. If you're sending your files via E-mail or FTP, then compressing large files before sending is a great idea. This allows your document and all supporting files and fonts to be included into one easy to handle file while reducing overall file size. Most applications allow you to save as, or export to, a PDF file. PDF's include all the necessary fonts and graphics needed for printing your file making them the preferred file format. Complex projects may require other files, like image files or additional data files. If you are unsure of what may be required for a particular variable project, give us a call and we will be happy to assist you. 2 Friends Printing can work with files in several formats. The order of preference is PDF, then Native. It is the industry standard PDL (page description language) invented by Adobe. PDF can print any kind of document including text, graphics, images and color. It is compatible with all computers and software, and the format DPS prefers. A proof is a way of ensuring that all of your text is accurate and that everything is positioned according to your requirements. Typically, we will produce a proof which will be sent to you online or printed on paper which can be viewed in our store or delivered to you in person. A Page Description Language renders the content of a document in a form akin to a mathematical representation of all the lines, circles and characters it contains. PDL's include Hewlett Packard's Printer Control Language (PCL), HP's Graphics Language (HP-GL), Adobe's PostScript (PS), and Portable Document Format (PDF). The only difference is the destination printer driver used to make the file. When Digital Printing Services comes to your site to set up the printer drivers, we will address the color file issues. Our preferred file format is PDF which is independent of the native program format. We can also work with any Mac or PC version of Adobe Illustrator, Photoshop and Indesign, as well as Microsoft Word and Excel. Please contact us regarding other programs not listed here. When submitting native file formats special consideration is required for fonts and graphics used in the files. We use UPS as our standard shipping services for locations outside of the Kansas City Metro area. In the Kansas City Metro area, DPS will personally deliver completed jobs. We can take your files on CD, flash drives, portable drives and via email and ftp. We can help you find just the right paper for your project. 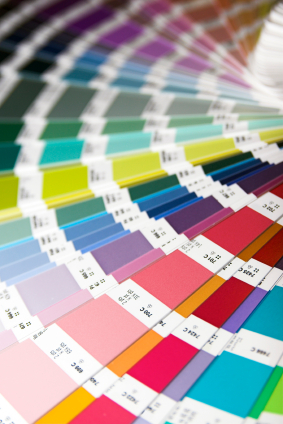 Please call our sales team for information on the types, sizes and colors of paper available for your printing needs. When color is critical it is best to allow extra time test prints and color adjustments. Due to our printers being toner based and not ink based, the ability to match and exact PMS color is limited. However, we are able to match most colors that are presented to us for print.